Curious about the Baha Attract System? In this short video, Dr Robert Briggs, Clinical Associate Professor of the University of Melbourne, Australia, discusses his experiences and the benefits of Cochlear’s new magnetic bone conduction hearing system. “This year marks 20 years since I was fitted with a bone conduction hearing solution. My parents really made a leap into the unknown when they agreed I should have this new hearing implant. I can say without a doubt, that it was the BEST decision they ever made for me. I was born with Treacher Collins Syndrome (TCS), a genetic condition affecting the development of the tissues and bones within the face. This resulted in smaller jaw bones and under developed cheekbones and ears. 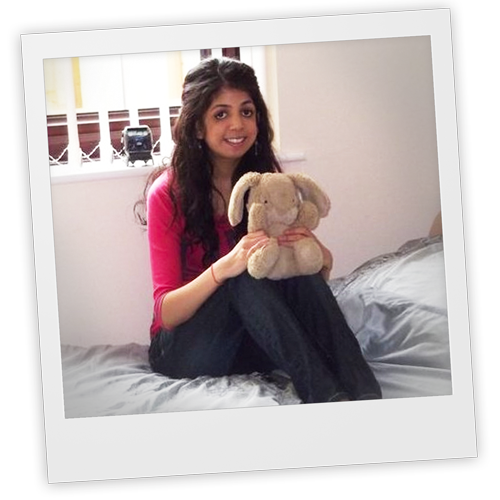 I was diagnosed with a hearing loss when I was 2 years old and was fitted with behind the ear hearing aids. Although these worked well, I suffered from frequent ear infections and those pesky things never stayed in my ears! Thankfully, someone mentioned the implantable bone conduction to my parents and the process began. I was referred to the esteemed Mr Proops in Birmingham and had my surgery* when I was 5 years old. I don’t remember much about it, apart from waking up with a bandage on my head and getting a new teddy bear which I’ve kept to this day. When I was fitted my brand new Baha Sound Processor, my parents noticed a difference straight away. My speech improved, I became more confident and started doing better at school. The first couple of weeks my parents helped me take the sound processor on and off, however I quickly learned to do this myself. Now, no one ever notices my sound processor, but that doesn’t stop me telling everyone about it. At school, the teachers were great and very eager to see this new piece of technology. I remember standing up in class at school and telling everyone about my new hearing implant, and how it helps me to hear. The other kids were pretty fascinated and thought it was the coolest thing ever. I’m very lucky that people have always accepted me for who I am. They’ve understood that the Baha solution makes my life better. In school, the FM system was a huge support to help me hear the teachers in the noisy classroom. Of course, technology has improved massively since then and most systems are now wireless and more reliable. Without the Baha System, I wouldn’t be where I am today. I’m thrilled to be volunteering for the Ear Foundation Registry which was developed with the support of Cochlear Europe and Oticon Medical, and will help secure the future of the Baha solution in both the UK and worldwide. It’s been a great privilege to share my experience, and one of the best things about having a Baha sound processor is meeting fantastic people through the Ear Foundations’ Baha forum. One question I always get asked is, ‘Would you recommend the Baha solution’? Of course my answer is, YES! You can read more about me and my Baha experience on my blog. In October 2013, ear surgeons from the Department of Otorhinolaryngology, Head and Neck Surgery and Audiology at Rigshospitalet in Denmark performed an innovative operation. For the first time ever, surgeons combined removing a tumour on the vestibulocochlear nerve – called acoustic neuroma or vestibular schwannoma – with implanting the new Baha Attract System in the cranial bone behind the ear. “The magnet-based system is brand new. We are the first hospital in the world to introduce this system in connection with removing tumours,” says Per Caýe-Thomasen, Consultant from the Department of Otorhinolaryngology, Head and Neck Surgery and Audiology. Tumour removals usually leave the patient with a permanent hearing loss in the affected ear. With the Baha Attract System, sound vibrations are transmitted through the skin to the internal magnet, through the bone to the inner ear on the other side of the head. The sound will then be perceived from both sides and therefore improve hearing considerably. Located under intact skin, the magnet implant is not visible, which is a great cosmetic advantage. Moreover, as the system is only connected by the use of magnetic attraction, it reduces the risk of infection, inflammation and other skin complications. “Combining removal of the tumour with implanting the magnet requires only one operation instead of two, and this obviously benefits patients as well as staff considerably,” says Per Caýe-Thomasen. Acoustic neuroma, or vestibular schwannoma, is a tumour on the vestibulocochlear nerve. It is usually benign and modern microsurgical techniques generally offer safe and effective removal of the tumour, but the treatment often leads to a profound hearing loss in the affected ear. 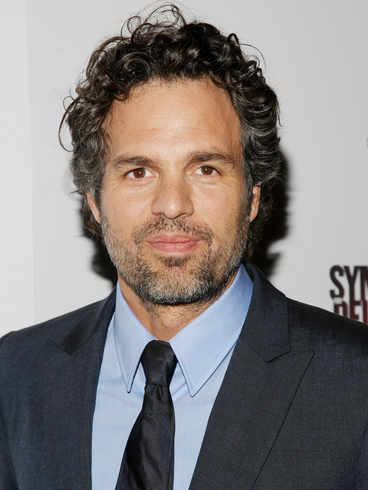 Actor Mark Ruffalo, 46, was diagnosed with an acoustic neuroma in 2001, which left him partly facially paralyzed for 10 months. He recovered, but lost all of his hearing in his left ear. Here Mark shares his experiences with the tumour diagnosis and treatment. The actor has learned to cope with his single-sided deafness, but for those who don’t want to, there is help available. The Baha system can help restore the hearing by sending sound through the bone directly to the functioning inner ear on the other side. Children with Treacher Collins syndrome, such as Jenimae, are likely to be born with malformations of the middle and outer ear, that can cause a conductive hearing loss. Due to the malformations, these kids can have problems attaching conventional hearing aids behind the ears. The inner ear often functions normally though, which is why a bone conduction hearing implant may help children with Treacher Collins to hear, by rerouting the sound through the skull bone instead of the ear canals. Baha solutions can be implemented early in life, helping children with Treacher Collins to gain better access to hearing. Studies stress the importance of early intervention, suggesting that it is preferable to address the hearing loss before the age of six months*. It’s important to give your child access to improved hearing, because language development is a cornerstone of the healthy and fulfilled life that all parents want for their children. Here’s a news story from the US about Michael Cornog, New Jersey, who was recently implanted with the Baha Attract System! Michael lost all his hearing in his left ear due to Meniere’s disease. Conventional hearing aids don’t help with this type of hearing loss. A bone conduction hearing solution does, since it sends sounds through the bone directly to the good inner ear on the opposite side. When Michael Cornog’s Baha sound processor was switched on, he could even hear the audiologist whispering behind him. “She asked me – do I like cream in my coffee? And I said yes I do! Quite surprising, because I could hear it clear as day,” he says with a big smile. Michael says he can barely feel the device now. And others barely notice it. Check out the story via this link! Jenimae got the best first birthday gift ever, thanks to generous donations – bilateral Baha implants! We love hearing about true feelgood stories like this! A generous restaurant owner in Colorado, USA, donated 100% of his income of an entire weekend to a little girl he’d never met – just so she could afford getting Baha implants! Little Jenimae Michener was born with Treachers Collins Syndrome, which causes facial deformities. She has a mild case, but lost 90% of her hearing. The only way to recover her hearing would be with Baha implants – but her parents, Amber and Joshua Michener, couldn’t afford it. Word about the Micheners’ situation quickly got out in their community. 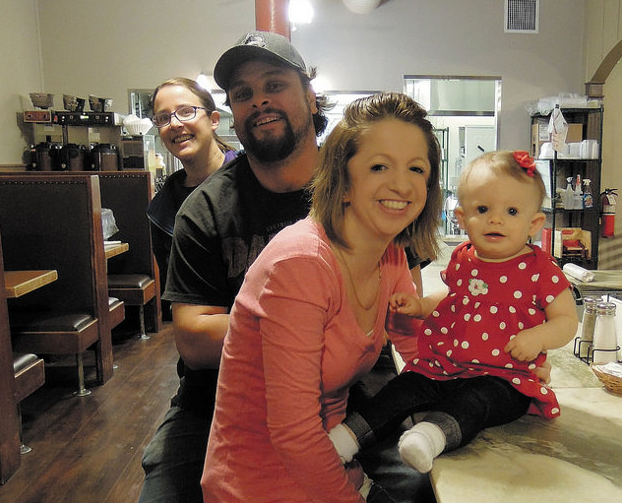 Kristin Arabally, who had only recently met the family, visited several local restaurants and businesses asking if they would consider donating 10% of one day’s profits to help fund Jenimae’s hearing implants. Her requests were rejected, until she approached Chris Vigil at the B&B Café. Vigil said he would give more than 10%. He would open the café the entire weekend and donate 100% of his total earnings! The benefit dinners were a success and Vigil and his crew raised over $8,000, all of which they donated to the Michener family. The Micheners will now be able to afford bilateral Baha sound processors for their daughter, so she’ll be able to hear speech and learn to talk. What better birthday gift for Jenimae who turns one on March 21!